Set in a bay, the beach is made up of soft sand with some shingle, pebbles and rock..
Traeth Llydan is the smaller of Rhosneigr's beaches, although still over a mile of golden sands. it has a more rural feel than Traeth Crigyll. 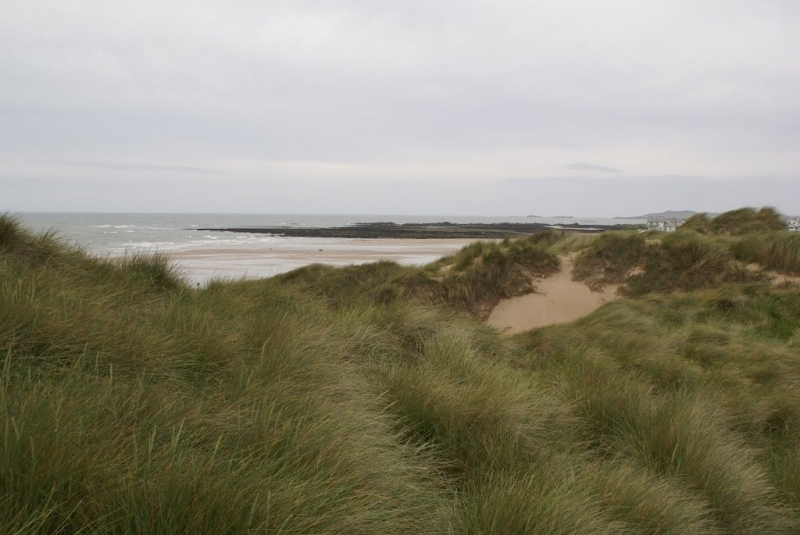 Rhosneigr Broad Beach is adjacent to the Anglesey Coast Path and the Wales Coast Path. The tide at Rhosneigr Broad Beach is currently rising. High tide will be at approximately 1:58 PM, and the next low tide will be at approximately 8:34 PM. Free parking for 100 cars in the village centre. There are no disabled spaces. Parking is difficult at busy times. around 13 miles east as the seagull flies, around 20 miles by road. around 12 miles east-southeast as the seagull flies, around 22 miles by road. less than a mile southeast as the seagull flies, around 2 miles by road. Visitor information for Rhosneigr Broad Beach, Isle of Anglesey, Wales. Weather, tides, visitor comments, beach facilities, photos, nearest postcode, beach information and nearby accommodation.